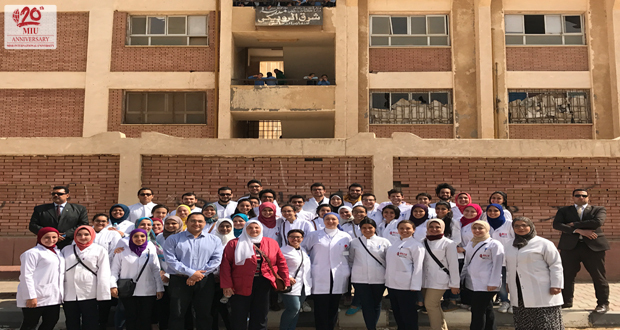 The Community Service and Environmental Affairs Committee organized a field trip to Sharq El Robeiky, Badr City on Thursday March 9th, 2017. 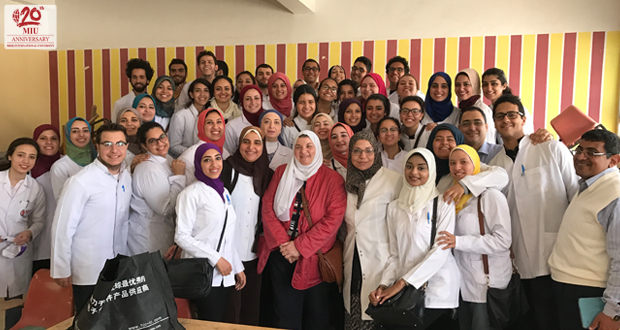 The trip was organized under the umbrella of The Faculty of Oral and Dental Medicine and with the approval of the Ministry of Health. Staff members, interns and nurses participated in this event. 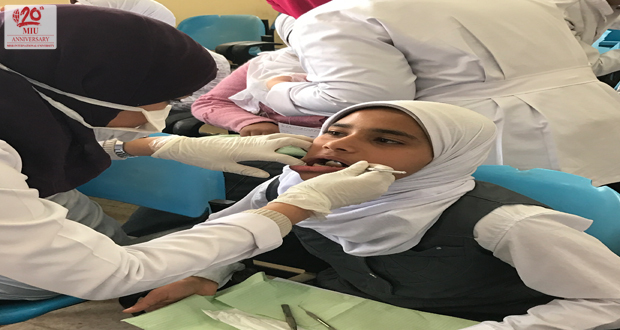 The trip is part of a campaign to increase oral hygiene awareness among secondary students. 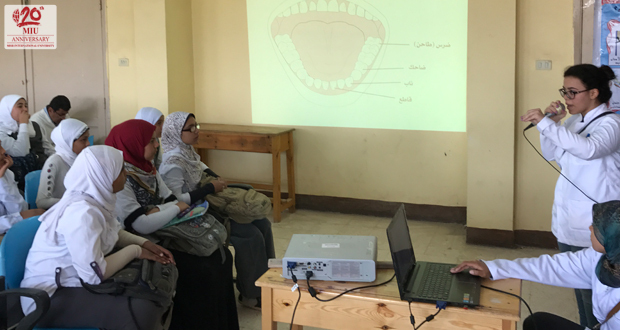 The campaign included presentations, posters, brochures as well as live sessions about tooth brushing techniques given by interns under the supervision of staff members. Educational materials and packs of tooth paste and tooth brushes were also distributed to all students. 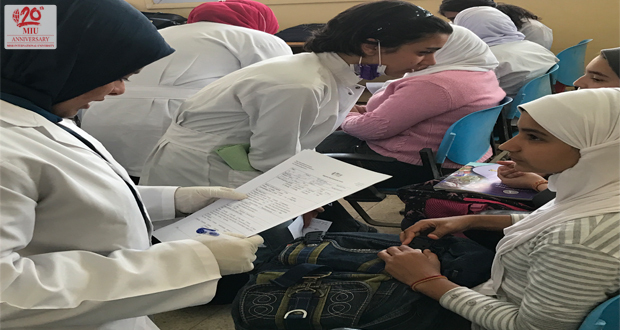 During the visit, interns examined patients and gave them cards which explained in a simple manner their oral health state and the kind of treatment they need.